Virtual Reality games tend to focus on being as immersive an experience as possible and to grant this effect most tend to utilize the first person perspective, however, a select few have taken a different approach and have gone the third person route. See as example Chronos, the third person action adventure RPG created by Gunfire Games. The game launches March 28th and to advertise this the developers have just published a new launch trailer viewable below. Chronos aims to be a unique and deeply atmospheric RPG not just in its implementation of VR technology but also in its unique take on death mechanics. In Chronos you are a young adventurer, and you are set out to enter a mystical labyrinth to save your people, and possibly all people from their huddling new dark ages fate. This labyrinth only opens once a year, and if you fail and are ejected, in other words if you die, your character will only be able to enter after having aged a year. This is not just a neat aesthetics thing either, as when you die and your character ages they suffer (and gain) stat wise from this. As a young person you are both lithe and nimble whereas you will lose some of that physicality with age and gain wisdom and familiarity with magic. 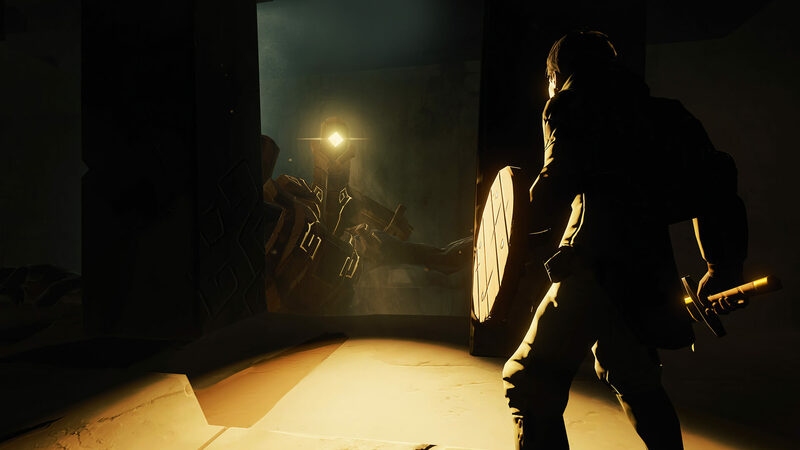 While there is quite a bit about the mechanic that is still not entirely clear it is certainly unlike anything else and holds the potential to help Chronos stand out from the rest of the VR launch crowd. Do you absolutely despise the name Chronos, regardless of what it is associated with? Does this game sound so interesting that you are going to buy a VR headset to play this game, and this game alone? Is this the first video game you have ever heard of? We would love to know your feelings and intentions on this and pretty much anything else you can think of. To let your voice be heard please leave a comment below.